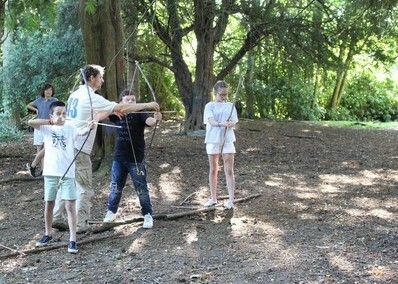 Home » News Index » News » Mark - draw - loose! 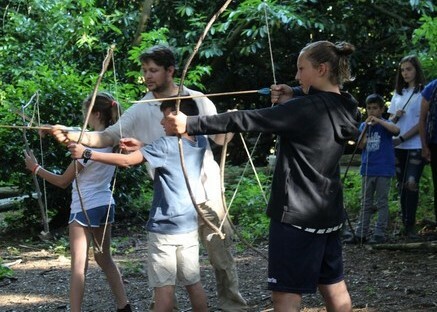 ​As part of his Bushcraft lessons, James Daborn - a former Shropshire longbow champion - teaches archery with homemade bows and safety arrows. 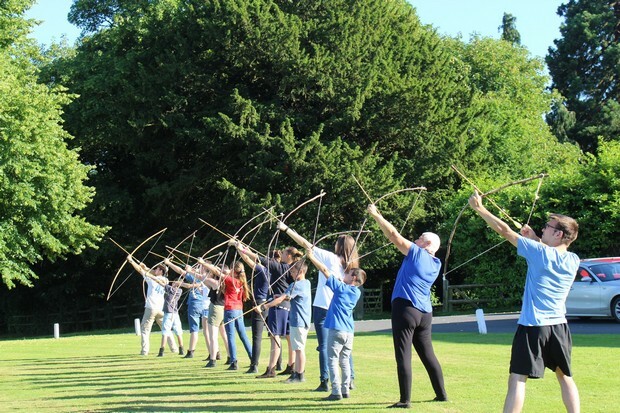 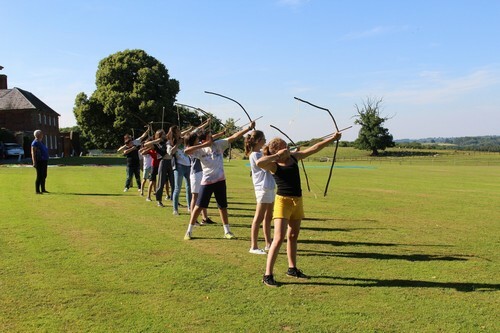 The students first learn how to hold their bows safely and correctly, shooting arrows at targets in the forest before coming out on to the lawn for the final volley.